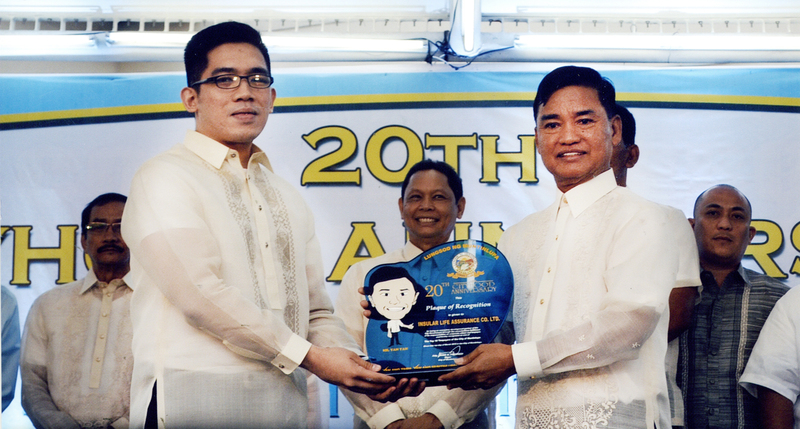 Insular Life was again recognized as one of the Top Ten Taxpayers of Muntinlupa City during the latter’s 20th Cityhood Anniversary celebration held at the Muntinlupa City Hall Quadrangle. Receiving the award on behalf of Insular Life is Real Property Division Assistant Manager Richard O. Oquendo, Jr. Presenting the award is Muntinlupa City Mayor Atty. Jaime R. Fresnedi.